In Lafayette, CA you will find one air conditioning company that stands out above the rest. That is the team here at ACS Air Conditioning Systems. Since 1969 we have been providing residents with a top quality service and products to keep you cool in your home. We offer a wide range of services that include maintenance, installations, solar work and more. We are an A+ rated company with the BBB and strive to offer you the best in Carrier products and customer service. We understand that when your air is out you want it back up and running as soon as possible. Our technicians not only give you top quality work but they also maintain a tidy area while doing it. You will find our experienced technicians will help fix the problem and get you back up and running in no time. Just as you take care of your automobile, you need to service your AC system. This is where we come in. We will service your heating and cooling system so you not only can rely on it but you can get the most life out of the unit. This also helps with your energy efficiency. When the system is running smoothly, you stay cozy and comfy. Why not let the sun take care of your energy needs? If you want to go green this is the way to do it. ACS Air Conditioning Systems can provide you with a small solar power system to help harness the heat and warmth the sun gives off. You can cut your electric bills down and save energy while doing so. What you breathe in can have an effect on your body. For those with sensitivities, such as asthma and allergies, it can make living in your home difficult. Let us help you clean up your indoor air quality with a humidifier or UV lamps. We will work with you to see exactly what you need to breathe easier when you are home. 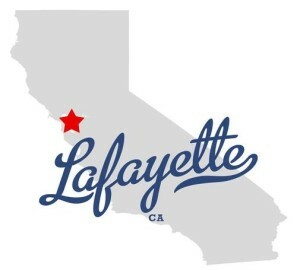 Give our office a call for all your Lafayette CA heating and cooling needs. We take care of you so you can take care of your family!